This transatlantic venture formed jointly between Little, Brown Book Group and Grand Central in the US sources crime stories from all over the world, bringing them to English-speaking readers for the very first time. Trapdoor will publish up to six commercial crime, suspense and thriller titles a year, all in translation, and will be launched with the publication of Sebastian Bergman by Hjorth and Rosenfeldt in paperback on July 5th. Spring 2013 will see the publication of the second title on the Trapdoor imprint, The Devil’s Sanctuary, a heart-stopping psychological thriller by Swedish bestseller Marie Hermanson. Sebastian Bergman accompanies the BBC4 TV series of the same name, which was also co-written by Hjorth and Rosenfeldt, the team behind the Wallander TV series. 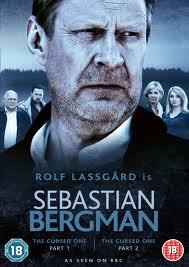 Rosenfeldt was also the creator of the recent hit BBC4 TV series The Bridge. Recently described as ‘The Swedish Cracker’ by the Guardian, Sebastian Bergman is a widower, psychologist, top criminal profiler and one of Sweden’s foremost experts on serial killers. He is the star of our upcoming thriller and of the TV series, which was initially broadcast on the 26th May and stars the original Wallander, Rolf Lassgård. With over 200,000 copies sold in Sweden alone, and rights sold in 18 territories, this novel is the first in a series featuring Bergman, whose investigation into the murder of a 16-year-old boy exposes a town’s secrets. Gripping, dark and tautly plotted, this novel is ideal for fans of BBC4’s The Killing and The Bridge. You can even join Sebastian Bergman on Facebook here. Oooh, sounds interesting! I don’t often get to read translated books, so I’ll have to give these a go.